It really sounds cool to have control of all your computer in your hands even when you are using your cellphone.For me it is one of the best experiences ever given by the android OS. You can even control your computer even when you are not in home. Many times there is a situation when you are not available and in your absence some of your family member or your friend need to use your computer. so there is a great app by developers which will allow you to do this task. 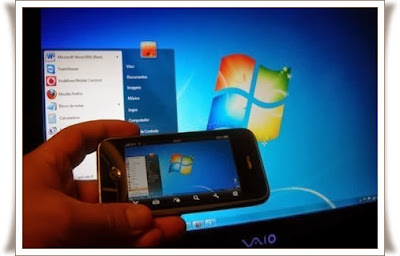 All you need is Teamviewer For Android to control your computer remotely. As you know, one of the most widely used programs to connect and remote the computer is TeamViewer. Sometimes we use TeamViewer to connect our computers and sometimes we use it to help someone who doesn’t have so much knowledge about the computers. So for using this feature from your android device , you need to applications , one installed on your computer and other on your android device. Here are a few steps given below just follow them and your computer will act as you want it to be. Step 1. Download and install TeamViewer on your Computer & Mobile for free. Step 2. After installing Teamviewer on your computer , sign up and get a unique Team Viewer id for you. Step 3. 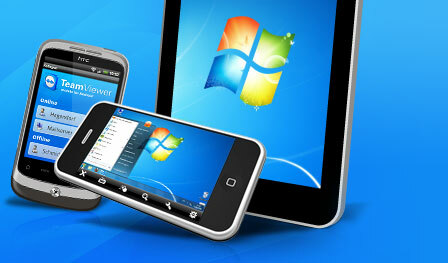 Open the TeamViewer app on your Android device. Step 4. Enter that Team Viewer id in the given text box and click on Remote Control. Step 5. You are now all set to control your computer remotely from your Android device. It will create a same interface to your device as your computer's monitor. All the options will be visible to your end in the same way as they are present on computer. You will be given a controlling panel over your handset to control some key characteristics of the computer's operating system , movement of mouse , clicking , searching and much more. It supports different operating systems including Windows , Linux and Mac. You can even access and control your computer during a call on your phone. You can control remote computers using the multi-touch gestures like: left click, right click, drag & drop, scroll wheel, zoom. It enables you with complete keyboard control including special keys such as Ctrl, Alt and Windows key. Apart from all these , it is not only convenient but also very secured. It has 256 Bit AES Session Encoding and 1024 Bit RSA Key Exchange feature enabled to make the connection more secured. It can also access the computers behind firewalls and proxy servers. Other features may include Automatic Quality Adjustment depending upon the configuration at your mobile device and computer end. You can even Reboot your system remotely using this software. Slashtop: You Can also Use Slashtop t Remote Control your Computer, Feel free to Use it if you dont bother to spend some money because Slashtop is not available on Google play for Free, you need to Purchase it. So this was all about how you can access your computers remotely using your Android devices. For more Android Tricks stay tuned ! !